1.Go to lead – > Contact Leads. 2. Click on the Lead name hyperlink. 3. 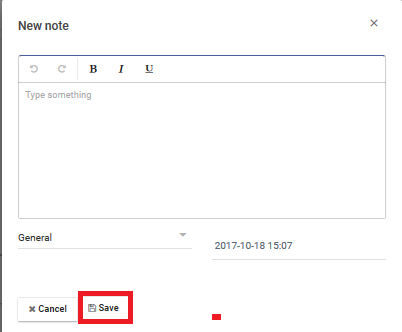 Click on “Add Note” button. 4. Enter the below listed details. c.Enter “Date and Time” for the text box. 5. Click on “Save” button. The created meeting for the lead should be displayed a displayed above.